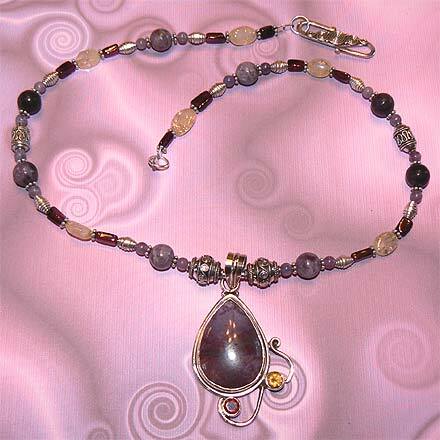 Sterling Silver Sugilite, Garnet and Citrine Necklace. See Closeup. 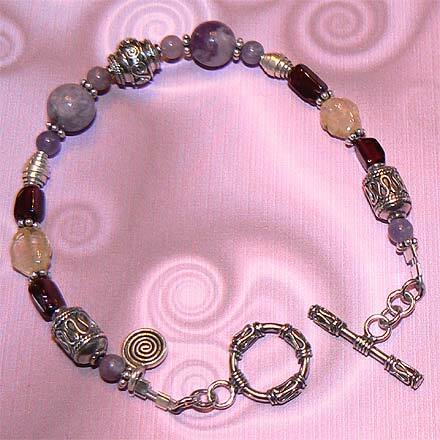 Sterling Silver Sugilite, Garnet and Citrine Bracelet. 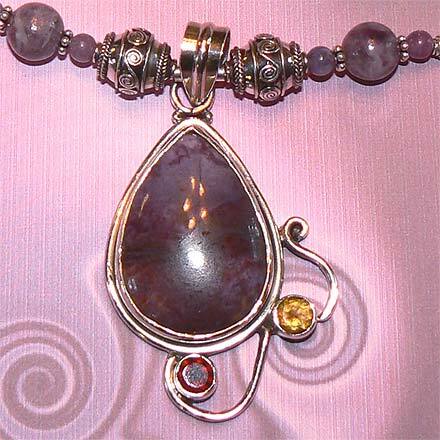 Although it's hard to photograph, the Sugilite pendant stone looks as if there are distant purple mountains. For those who are interested in Astrological significances of stones, Garnet corresponds with Capricorn, Aquarius and the month of January, and Citrine is November's birthstone.